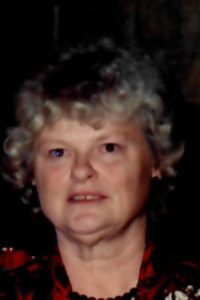 Cecilia L. “Sue” Dement | Tri-State Cremation Center, Inc.
Cecilia L. “Sue” Dement, age 88 of Dubuque, completed her earthly journey on Wednesday, April 10, 2019, at Dubuque Specialty Care. To celebrate Sue’s life, a private family service is being held. The Tri-State Cremation Center is humbly serving Sue’s family. Sue was born on August 9, 1930, in Cedar Rapids, Iowa, a beautiful daughter to Irving W. and Cecilia M. (Karpus) Seyer. She spent many years working outside of the home and her first real career as an owner of Dement’s Greenhouse allowed her to follow her passion for growing things and utilize her forever itchy green thumb on a daily basis. Sue’s adoration for flowers was a joy she carried throughout her entire life and each season was a welcomed opportunity to truly watch her skills, patience and time reap the rewards of her labors. Sue eventually began her next career at Eska Outboard Motors on Kerper Boulevard, where she spent another 10 years as an inspector before they eventually closed. Sue was also well known, loved and adored for her silly sense of humor which would randomly find itself front and center at any given moment. Always up for family gatherings and working in her garden, Sue found her joy in watching things grow, be it her grandchildren or her flowers. We will miss our mother, grandma, and great-grandma, but we accept that her 88 years here with us is a blessing which we will never forget we were given and we are forever grateful for the wonderful memories she has left behind. Thank you for all of the light and love you shared with the world Sue and may the Lord keep you safe in His loving arms until we meet again. along with her 15 great-grandchildren. Sue was preceded in death by her parents and a daughter, Connie Dement. Sue’s family would like to thank the doctors, nurses and staff at Hospice of Dubuque, and Dubuque Specialty Care for all of the professional, sincere and comforting care they provided to Sue and her family. To celebrate Sue’s life, a private family service is being held. We are so sorry for your loss! I can remember your mom loading up your kids when they were little in her car full of stuff! LOL! Always made me laugh. She sure was a special lady.